This story has the feel of an early unpublished manuscript... because it turns out that just exactly what it is! 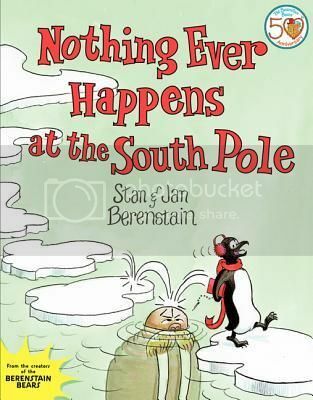 A penguin is convinced that nothing interesting ever happens at the South Pole, and blithely misses seeing dangerous polar bears, whales, wolves, etc. Of interest to diehard Berenstain fans, especially for the illustrations, as you can see hints of the trademark Berenstain Bears style. 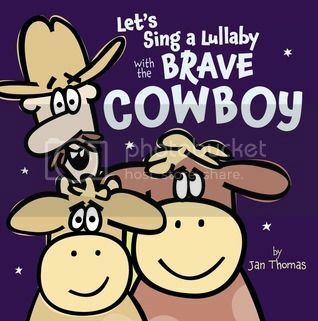 This storybook offers typical zany fun from Jan Thomas with a great cowboy on the range feel. As to be expected, the story includes a multitude of very silly cows. I must confess I'm a bit intimidated by the idea of actually singing the cowboy song. If ever a book called for a CD to be included, this is it, but sadly there isn't one. Rats. Still, if you're a brave, or a very musical storyteller, there's no reason why not to add this to your storytime repertoire. This rhyming story includes plenty of beachy slang. 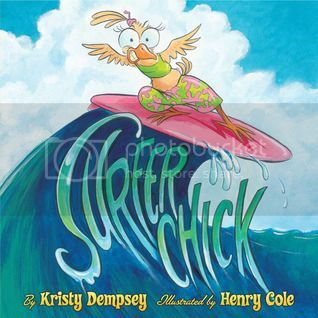 A young chick and her dad take to the beach to teach her how to surf in this wacky picture book. Cole's acrylic, colored pencil and watercolor illustrations are bright and colorful, with expressive cartoonish faces for all the anthropomorphized chickens featured in this story. Pair Surfer Chick with Rhinos Who Surf by Julie Mammano for a beachy storytime and don't forget to include this around Father's Day as well. Here's a cute and simple book. It's a bit reminiscent of How Do Dinosaurs Say Goodnight?, but for the younger set with simple rhymes, and a few words per page. 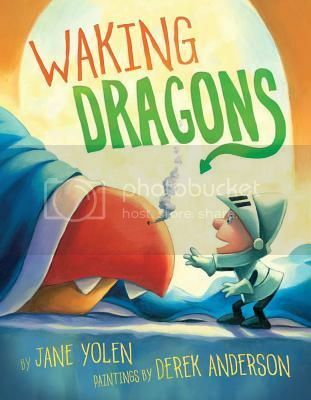 Pair Waking Dragons with Night, Knight by Owen Davey, The Sunflower Sword by Mark Sperring or Lovabye Dragon by Barbara Joose for a knights and dragons storytime session. these are cute stories!! and can share with my sons!! !